You are using wheels to get around instead of legs but you aren't quite sure about yourself. You feel old. You think people are looking at you and mocking you. How do you gain the confidence to be seen in public? Here is a little tip to get you going. 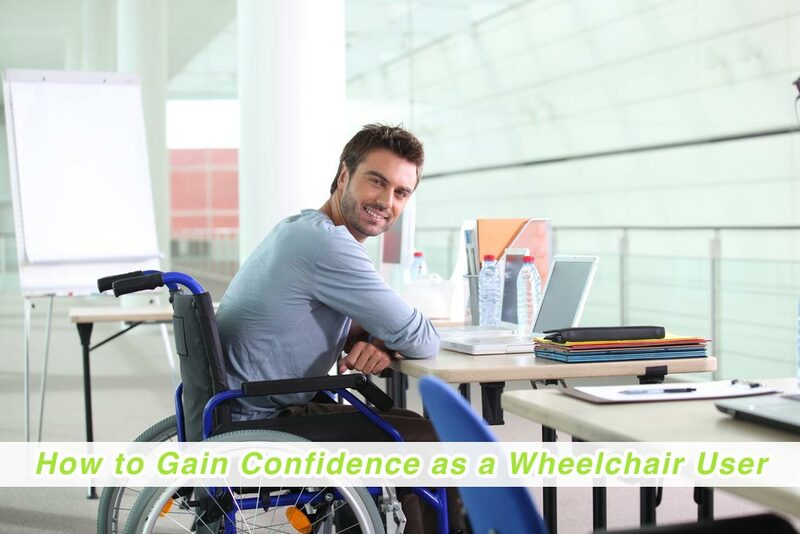 Ask someone who is able body to sit in your wheelchair. How do they seem? Are they really disabled? Do they look that much different than before? Not really right? They might actually look pretty cool traveling in their new wheels! It might not seem like it now but you will learn to have fun in your wheelchair. Do you feel you don't look the same in your clothes when you are sitting? When you think about it most people spend the majority of their day sitting down. Usually if people have something nasty to say about you they do it out of earshot and there isn't much you can do about it anyhow. You might not necessarily hear these things being said but you can be assured that they are being said. The only control you have is over you and you cannot control what others do or say. You can make the decision now not to let whatever others say bring you down. If you are really concerned about how your lower body looks you can buy a really cool blanket and cover your lower body. Once you start venturing out on your own (if you can) you will soon begin to feel the freedom and independence of getting around on your own. What others think will quickly melt away and you will just go about enjoying your day. If you feel that other people will reject you if you are in a chair that is a totally natural feeling. You will probably quickly find out who your real friends are and that’s ok too. You can be thankful that you can still get around on your own, some people can't. Think about the person who might be totally paralyzed and in bed 24/7. What would they do just to go outside on their own in a wheelchair? They would be so happy just to be outside in a wheel chair. Sometimes we can be fooled into the fantasy that nothing can or ever will happen to our bodies. However, you know that body parts can fail; sometimes they can be healed, sometimes not. Life can change in a flash. Just because we were able bodied yesterday doesn't mean that we will be tomorrow. The trick is to live life in the now and enjoy the now.